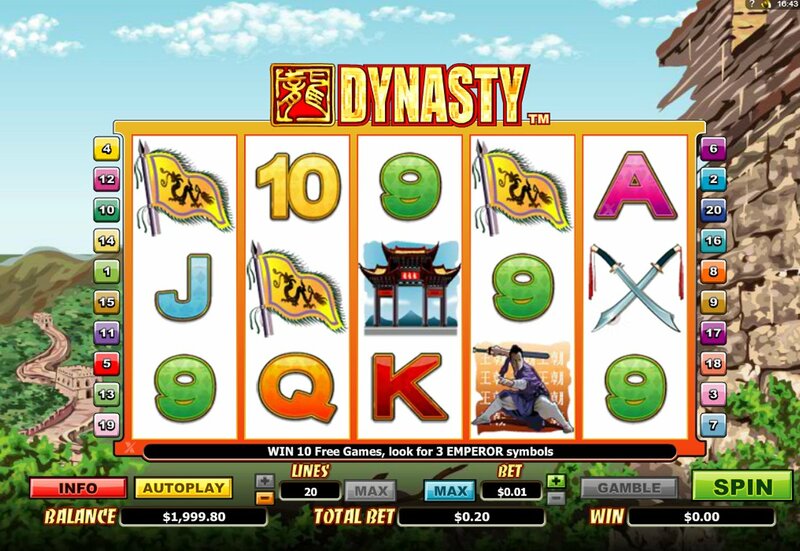 Sorry, soap fans – Next Gen Gaming’s video slot, Dynasty, has nothing to do with the classic ‘80s serial that featured more shoulder pads and unlikely storylines to last a lifetime. 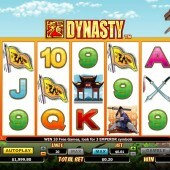 It does, however, bring to life that well-worn theme common to so many top-notch online slots: Asia. Set against a Chinese hilly backdrop, the 5 reels and 25 pay-lines in Dynasty are filled to the brim with temples, Emperors, warriors, Oriental shrubs and yes, Asian-styled classic card symbols. You Can Grab a $50,000 Jackpot! There's a nice range of betting in the game, with coin bets starting from just $0.01, but with a max. bet of $250 the bigger bettors are catered for too. There's a $50,000 jackpot up for grabs at the biggest betting level. Look out for the royal seal symbol which in this game is the Wild. It substitutes for all symbols other than the Scatter, but also comes stacked on reels 2, 3 and 4. Dynasty's Scatter icon, meanwhile, is the Emperor himself - pretty standard if you've ever played Oriental-themed slots like Emperor's Garden. Hit three or more anywhere on the reels and you'll bag yourself 10 free spins with a 2x multiplier. Not only that, but the free spins can be re-triggered during the bonus round. China-themed slots come and go, and as long as the bonus rounds make it worth it they can prove to be real money-spinners. NextGen have some previous in this genre, of course, with their lush lotus blossom-filled slot, Cherry Blossoms, a great alternative to this. The Oriental-themed Emperor's Garden from the same developer is also worth a shout, with its expanding Wilds and free spins that carry a juicy 3x multiplier on wins. Having said all that, the free spins are pretty nice in Dynasty, and with a bonus round that for once doesn't have to be triggered by hitting three specific reels, I found the free spins cropping up fairly regularly.